Another year is near the end, and another successful European Poker Tour (EPT) is almost complete. We had an opportunity to see some great moments and players winning valuable cash prizes. EPT is also followed by a lot of traditions, and one of them is that it should always conclude in the capital of the Czech Republic – Prague. This year will be no exception, and Casino Atrium in the Hilton hotel will host the players from around the world in the period between December 7-18, 2018. Furthermore, the championship will be combined with the EPT National. These two will happen at the same time and place and will feature as much as 43 events in total, which is way more than usual. In other words, we are up for a lot of great action for 11 days in a row. Furthermore, it has been announced that some of the biggest names in poker will attend this event. Although it is still not officially revealed who that may be, everybody is certainly expecting them to give their best while competing. Despite the 43 events, everybody is still the most enthusiastic about the biggest of them all – the EPT Prague €5,300 Main Event. It will commence on December 12, and end on December 18, on the last day of the EPT. The tournament will be a deep-stacked affair, and there will be to opening flights that would happen on December 12 and 13. The number of chips and blinds will increase every hour by 30,000. Players will be able to have another entry should they lose all their chips in the first one. Players that bag chips will have an opportunity to enjoy 90-minute blind levels with a deeper structure until three players remain in the play. At that moment, the blind levels will be twice shorter – only 45 minutes in total. Another addition features a clock that would tick 30 seconds, which is the time that players are allowed when they are in the money. Those players that require more time to think about their decisions will use something called time bank cards for the additional time. Last year’s main event was pretty intense, and everybody enjoyed watching it. Kalidou Sow won it for €675,000. However, the tournament was branded differently back then, and it was called PokerStars Championship Prague €5,300 Main Event. Sow managed to beat Jason Wheeler in the heads-up play, although he was an underdog in that battle. Apart from all the events that will be available in this tournament, the players will also be able to enjoy various cash games with high and low stakes that would take place in the Grand Ballroom. Most of the games will be either no-limit hold’em or pot-limit Omaha, but other variants may become available upon request. 2018 EPT Prague Main Event – Paul Michaelis Wins! What Did WSOPE 2017 Look Like? 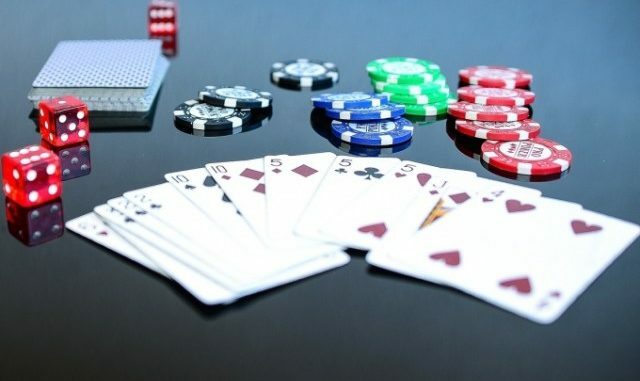 Italy and Belgium Imposed New Restrictions on Gambling – What is Different?